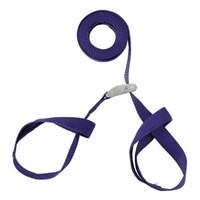 Constructed with heavy-weight 1"(2.5cm) polypro webbing and heavy-duty cam buckles and bar tacks. 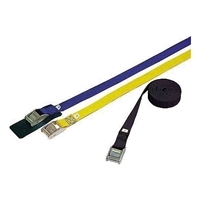 Two separate straps allow gear to be cinched down quickly and easily. Stretch 'hook & loop' utility straps for anchoring and organizing gear. If anything is better than duct tape it is Voile Straps. Made of tough stretch polyurethane and a hardened aluminum buckle. If anything is better than duct tape it is Voile Straps. Made of tough stretch polyurethane and a nylon buckle. 20% thicker, 25% wider. The XL Series straps aren't only bigger, they are also the strongest ever. If anything is better than duct tape it is Voile Straps.